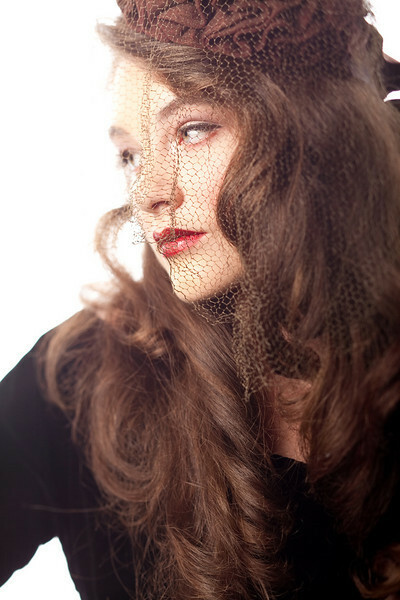 In 2006, Mandy Harvey lost her hearing. Even so, the velvet-voiced singer, studying to be a music teacher at the time, continues to sing, with perfect pitch and rythm. In fact, she is currently working on 3 albums. Q: How did you lose your hearing? Mandy: I lost my hearing during the 2006-2007 school year as a freshman in college. The issue behind the hearing loss was a neurological issue. The structure of my ears work fine but the sound doesn’t communicate well with my brain. That’s the best way I can describe it. Q: How did you initially deal with the loss of hearing? It would be devastating to anyone, but you were a singer and studying music so it must have been even more heartbreaking. Mandy: Initially I didn’t deal with the problem. I was at school in denial and trying to keep up in the music program. Eventually they dropped me from a couple of my classes and I had to quickly find classes to fill the space. I became severely depressed and missed a lot of classes because I would just stay in my dorm room for days upon days. I played a lot of online poker and lived off diet ginger ale and peanut butter, that was the only thing in my dorm fridge. After that I moved back home and stopped music for about a full year. Q: What prompted you to start singing again? Mandy: My dad encouraged me to do music again by playing guitar with me. We made a home CD for my mom and that was more the push to do music again than anything. Q: Did you have to learn American Sign Language or lip reading? Mandy: I have had issues with my hearing my whole life so I have had a grasp on lip-reading but I started taking ASL classes after I moved back home. My sister Sammi took those classes with me and the rest of my family is picking it up bit by bit. Q: How do you recognize notes or rhythm now when you sing? Mandy: Most of it is from muscle memory and I have nearly perfect pitch. But being in the music program I have known how to sight read and about music theory for years. I memorize music before I sing and practice it constantly then when I perform it I look at the piano if I need to remember where I start and go for it. A lot of personal trust in myself and in my bandmates. Q: Tell us about your CD and the process of creating it. Mandy: I have two albums that I produced thus far…I am currently working on a Christmas album. Smile was my first CD and it came about because a friend and fan told me to make a CD. I made it to prove to myself that it could be done. Both albums are done in a studio while we all play as if we are in a live setting. We are seperated by different rooms but everyone can see everybody and we all play together. After You’ve Gone was created as a follow up to Smile. The second CD was more complicated, the songs are more difficult to play and we arranged everything to fit a flow of the phase after the honeymoon. Ups and downs of a relationship. Mandy: Plans for the future are exciting. I am working on a Christmas album but I have two other albums in the planning stages. Those other two albums would be 1) 3rd Jazz album and 2) all original music album. Lots of work to do so I am not sure when all of it will be finished. I am aiming for November for the Christmas album to come out and the other two depends on funds. Q: What words of wisdom or advice do you have for anyone who wants to pursue music but believes there are obstacles standing in their way? Mandy: My advice stems from Hope. Hope is never lost; it is something you have to hold onto, to stay strong. And it is something that we have a duty to show and give to others. It “keeps life moving” and pulls us out of any dark situation. Continue to hope and make your dreams a reality. I also tend to think…if someone tells you that you can’t do something prove to them they were wrong. Obstacles force you to change how you do something, not stopping [you] from doing them at all. If you have a passion for music, find your own way of expressing that passion even if it is different from what you planned.